The Reinassaince Trio was bort to study the English Renaissaince Music of Elizabethan Era. The concert In Darkness let me Dwell is a Homenaje to English Liutist John Dowland. 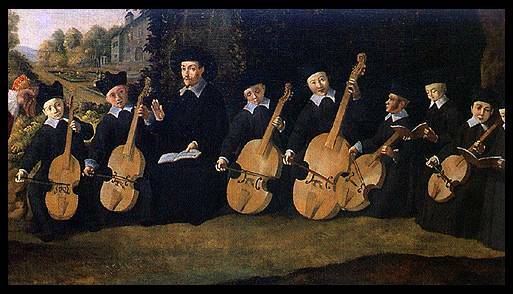 The works was born for Viola Consort, Lute e Voice and include work from First Book of Songs, Second Book of Songs, Lachrimae or Seven Tears, A Pilgrim Solance, lute manuscript kept at the Folger Shakespeare Library at Amherst. The Transcriptions is cured by Duo Imbesi Zangarà and is Play on Modern Instruments.